Maple Holistics Tea Tree Shampoo is an outstanding Tea Tree shampoo for treating Dry Scalp or Seb Derm. It doesn’t contain any artificial coloring, sulfates, parabens, or carcinogens. It contains only three potential contact allergens, with two of the three being tea tree and rosemary essential oils – both fragrance heavy oils. If you’re looking for a tea tree shampoo and aren’t sensitive to fragrances then I can’t recommend this highly enough. 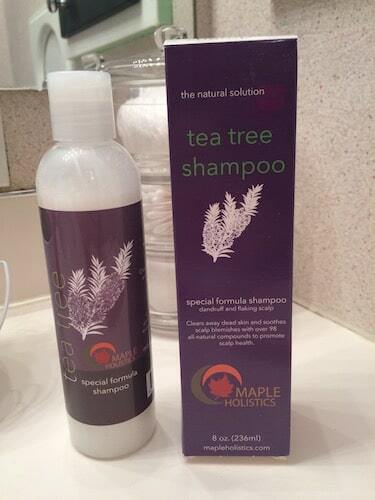 Maple Holistic’s Tea Tree Shampoo is a tea tree shampoo for mild to moderate seborrheic dermatitis and dry scalp. 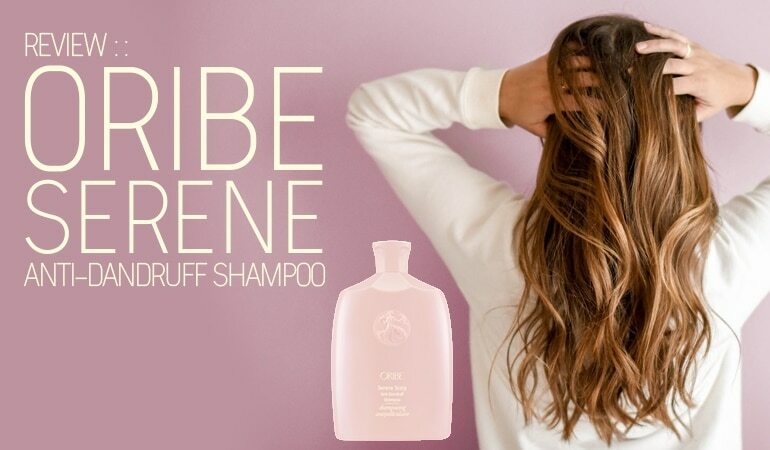 The shampoo, according to the blurb, uses over “98 all-natural compounds to promote scalp health.” The shampoo’s slogan “the natural solution” makes this shampoo a great option for those who are looking for natural, botanically-based haircare products, minus the harsh ingredients. Maple Holistics is a health and wellness company, dedicated to providing customers with natural, safe products that promote good health, hygiene, and overall daily wellness. They offer shampoos, face masks, bath soaks, and a few select health food items. According to the Maple Holistics website, they promise that all of their products are made in the US, cruelty-free, sulfate-free, all natural, and safe for colored treated hair. We’ve actually reviewed one of their shampoos before – the excellent Sage Shampoo – and I was really looking forward to using this other shampoo of theirs. Not least because the reviews on amazon are excellent. The shampoo has a very pleasant botanical smell to it that definitely picks up the handful of essential oils in the formula, particularly lavender and tea tree. However, it isn’t overpowering and is just enough to smell very pleasant without overwhelming one’s nose. For those who may be sensitive to fragrances, even essential oils, you may want to proceed with caution with this shampoo and test it on a section of your wrist before trying it on your scalp. The good news is that there are no artificial fragrances used. The bad news is that the natural fragrances in the essential oils can still irritate or cause a reaction with those sensitive to fragrances. The shampoo is thick and luxurious, but not too thick that it’s hard to work in your hands. It feels very much like a professional-grade shampoo, and not like the conventional store-bought versions that are thinner and very sudsy. The shampoo was silky smooth in my hand and my hair. 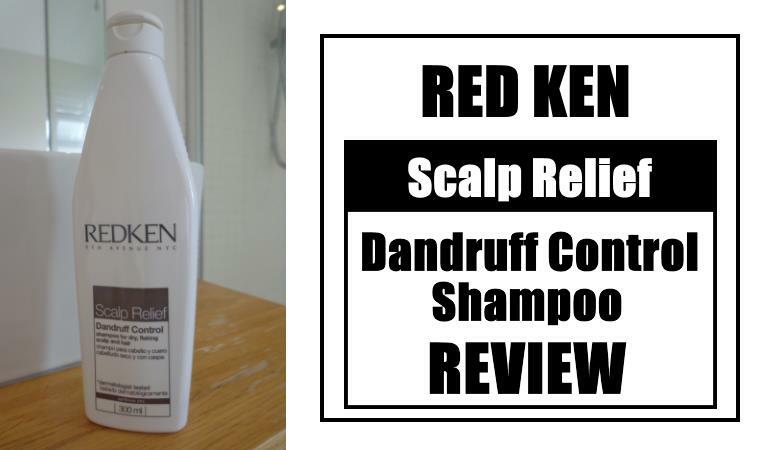 The shampoo felt very soft and silky in my hair and on my scalp. It was mildly sudsy without being too harsh and stripping of my hair’s natural oils. A dry scalp, such as mine, should not be treated with overly harsh products that take away the moisturizing oils that are needed to help it heal its dryness. I thought the shampoo cleaned very well, lifting away the excess oils and build-up, without feeling too squeaky clean. The shampoo cleaned my hair nicely but left a few flakes behind. I understand that this may very well be because I need to use the shampoo more before all of my dry flakes have disappeared, but I definitely did see a difference in the look and feel of my scalp. There were far fewer flakes, and my scalp felt nourished and moisturized. You should not need an additional conditioner unless you have an exceptionally dry scalp. So What’s Inside This Shampoo? The primary active ingredient is Tea Tree Oil. Tea Tree Oil is an essential oil that several laboratory studies have shown to be effective at controlling Malassezia yeasts – thought to be responsible for the symptoms of seborrheic dermatitis. It also has antimicrobial and moisturizing properties while helping to alleviate itching sensations, can be beneficial in managing dry scalp. That said, rosemary is stimulating and invigorating for the scalp, helping to lift and slough away dry flakes. Lavender is healing and soothing and is helpful for a dry, irritated scalp and scalp blemishes. Both argan and jojoba oil are nourishing, hydrating and help soothe an irritated scalp. Argan oil adds shine and essential fatty acids to revitalize the health of the scalp. Jojoba oil is the closest oil to our scalp’s natural sebum and can moisturize without making the scalp too oily. Seb Derm sufferers note – Argan Oil is high in Oleic Acid. Although the quantities of the oil is unknown, more than one study has shown that Oleic Acid is actually a root cause of seb derm. Botanical keratin is a protein found naturally in our hair and helps to replenish the hair of its natural compounds to create strong, healthy hair. In addition to the oils and keratin, the shampoo also contains D-Panthenol, an excellent and gentle conditioner for your hair and scalp. 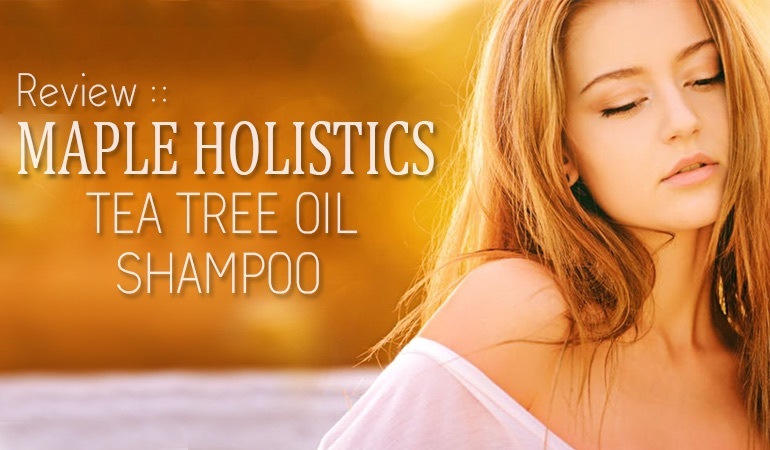 The Tea Tree Shampoo from Maple Holistics is free from sulfates and parabens. The lack of sulfates was curious for a shampoo that foams so well. Rather than adding one harsh surfactant e.g. SLS, the company has added a number of gentle surfactants and foam boosters. 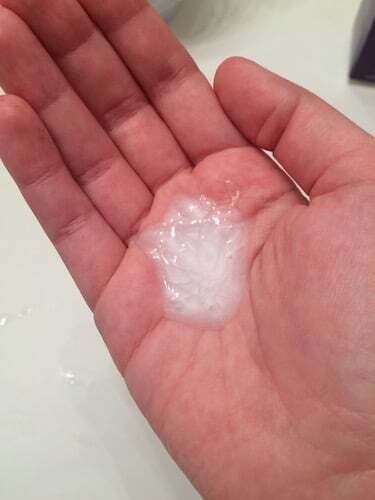 Chemicals such as Sodium Lauryl Glucoside Carboxylate, Sodium Cocoyl Isethionate, Sodium Lauroamphoacetate, Sodium Methyl Cocoyl Taurate and Lauryl Glucoside may sound terrifying, but they are actually gentle but luxurious feeling cleansing agents. I’ve never seen this combination before and I hope to see it again. Maple Holistics can be rightly proud of this formulation. Are There Any Contact Allergens or Irritants? Out of the 22 ingredients, there is only one listed contact allergen – Cocamidopropyl Betaine. Cocamidopropyl Betaine is a synthetic secondary surfactant that scores low-moderate on the overall hazard scale on the EWG’s Skin Deep Cosmetics Database. In addition, both Tea tree and Rosemary essential oils contain fragrances that can irritate if you’re sensitive to perfumes. All of the other ingredients received a low score on EWG’s Skin Deep. While some ingredients may sound bad, they are safe, natural ingredients derived from nature, like Sodium Lauryl Glucoside Carboxylate which comes from coconuts and is sugar-based, not acid-based. It nourishes the skin and hair and doesn’t strip the natural oils. If you have sensitive skin that can react to any of these ingredients, like the stimulating oils, we advise you to use caution with this product. When washing with it, the shampoo did not feel or smell overpowering, and there wasn’t a highly noticeable presence of the tea tree oil or rosemary oil. If you would like to try this product but are hesitant, we recommend that you apply a dab of it on your wrist to see if it causes any irritation. If you suffer from mild dandruff or Seborrheic Dermatitis, and you aren’t too sensitive to fragrances, then the Tea Tree Shampoo from Maple Holistics might be perfect for you. If you have a severe case of dandruff or Seb Derm, then you may need a more powerful, medicated shampoo. If you aren’t sensitive to essential oils, or you perform a patch test on your wrist and you do not have a reaction, we definitely recommend giving this shampoo a shot! You may find that it treats your dry, flaky, itchy scalp wonderfully and that it achieves your desire to find a natural product with safe ingredients. Overall, Maple Holistics has created an excellent dandruff shampoo that leaves out sulfates, parabens, artificial coloring and fragrances, and other harmful ingredients, and only includes the best, all natural ingredients and botanicals. If you suffer from mild dandruff and you want to use a natural product you can feel good about, you won’t be disappointed with this shampoo. Was so dissapointed after reading reviews that Maple Holistics Tea Tree Oil Shampoo is not available in Australia. Tried to order through Amazon. Can you recommend a good one in Australia without nasties? This Shampoo is the best I ever had, It gives shine, no dandruff and smell so good and more important thing it doesn’t make my hair fall. This is the kind of shampoo that I can recommend.